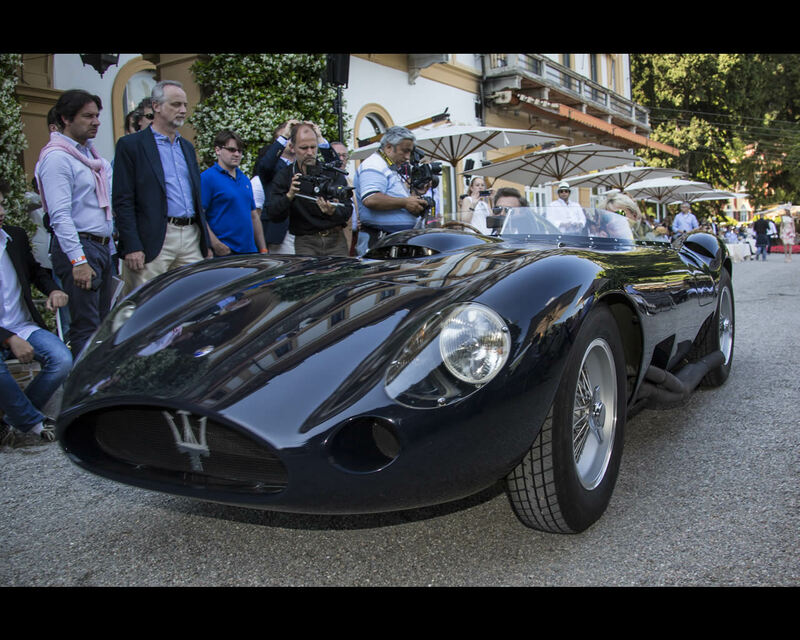 Maserati built ten of these high-powered cars as one of the most attractive two-seater racing sports cars in 1956 and 1957, with a 4,5 Litre (4477 cc.) V8 engine that generated 400 hp. 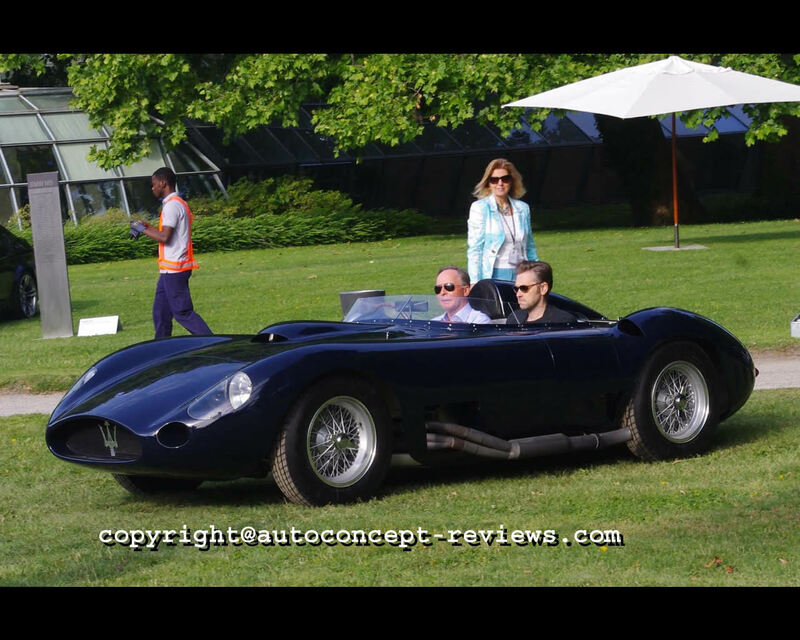 The body came from Fantuzzi in Modena, but the Maserati 450S came to life in difficult times because after Juan Manuel Fangio took his fifth World Championship title driving a Maserati 250F in 1957, Maserati withdrew its works involvement in racing. 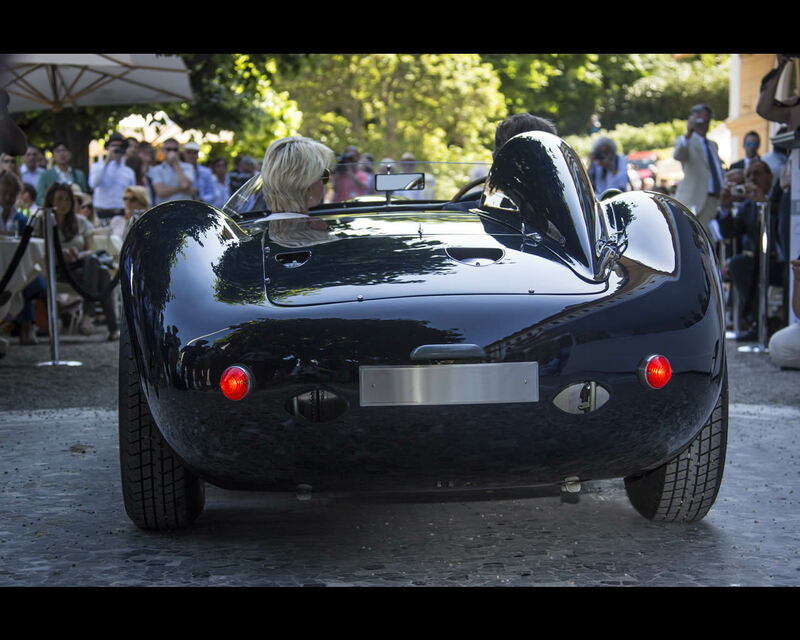 The Maserati 450S was introduced with a multi-tubular spaceframe derived from the Maserati 300S. The new light alloy twin cam V8 4477 cc. produced near 400 hp at 7000 rpm. 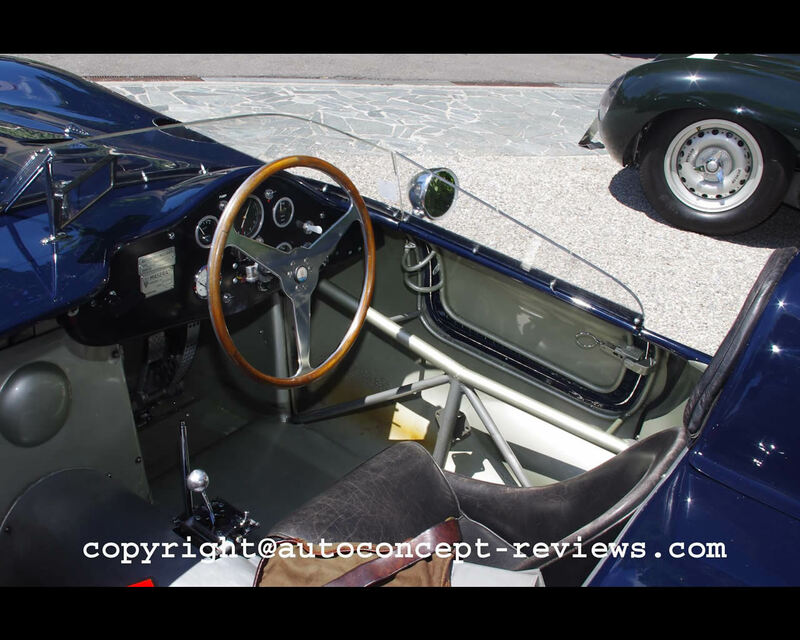 Transmission is by transaxle five speed gearbox attached to the de Dion rear axle. 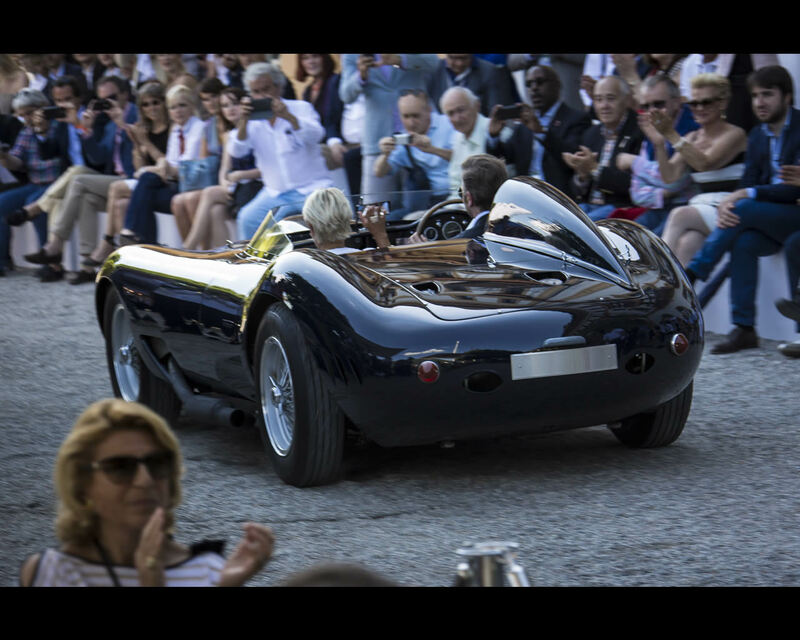 Overall weight of the car is announced for 790 kg (1740 lb.). The Maserati 450S driven by Behra and Fangio won 1957 Sebring 12 Hours. For 1958, the sports cars regulations indicated a maximum 3 Litre engine capacity in Europe which ended the European racing career of the Maserati 450S. 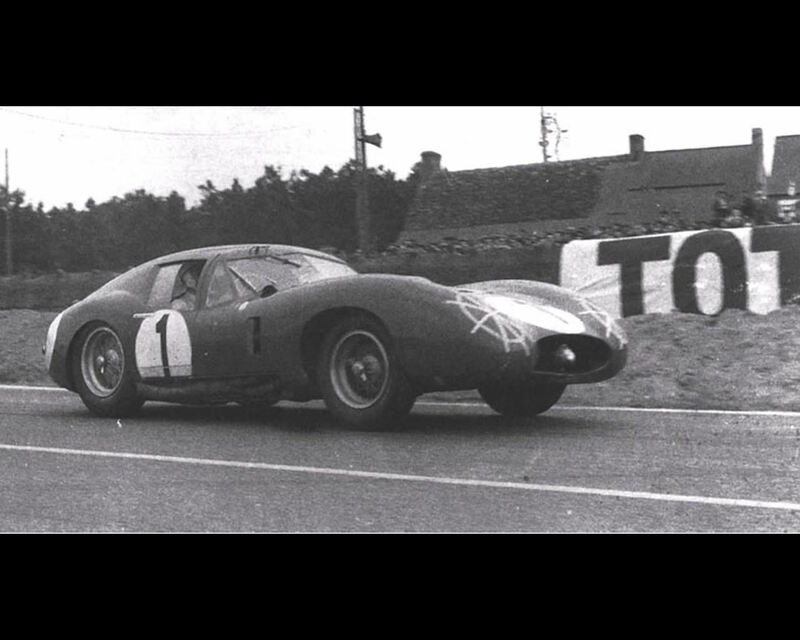 For the 1957 Le Mans 24 Hours, Maserati had entered two 450S. Stirling Moss had requested that his car be equipped with a closed berlinetta body designed by Frank Costin and built by Carrozzeria Zagato. Both cars retired before the end of the race. 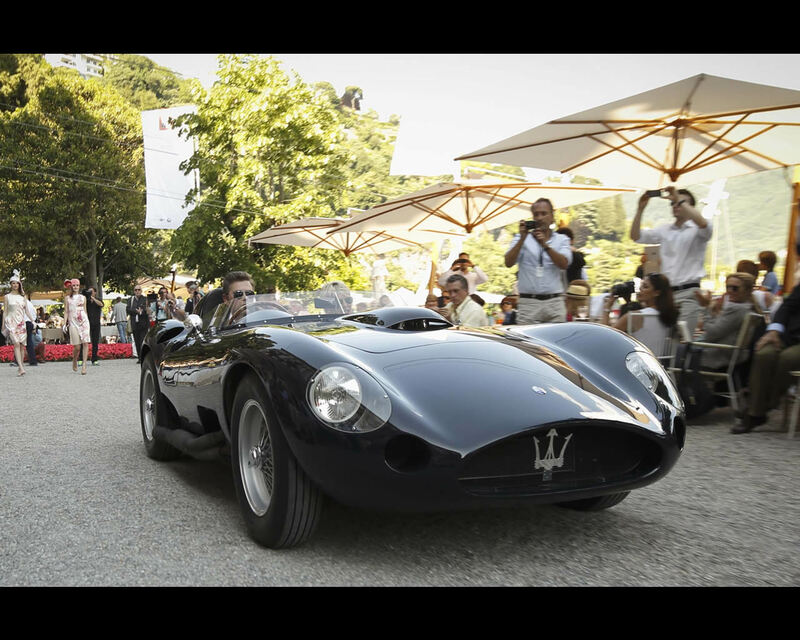 The racing career of the Maserati 450S continued, however, in the USA with famous drivers like Carrol Shelby, Jim Hall, Walt Cline, Masten Gregory, Bill Krause and Ebb Rose. The chassis 4502 presented here was delivered to racing team owner Tony Parravano from Redondo Beach in October 1956. 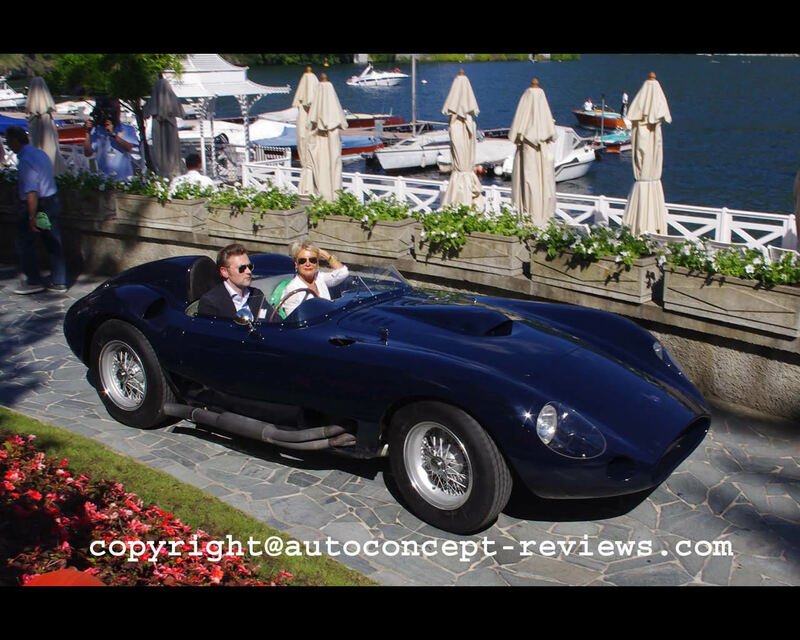 Following test drives in January 1957 with Richie Ginther, Jack McAfee and Bob Drake, Parravano and the Maserati 450S disappeared, it was rumoured to Mexico. 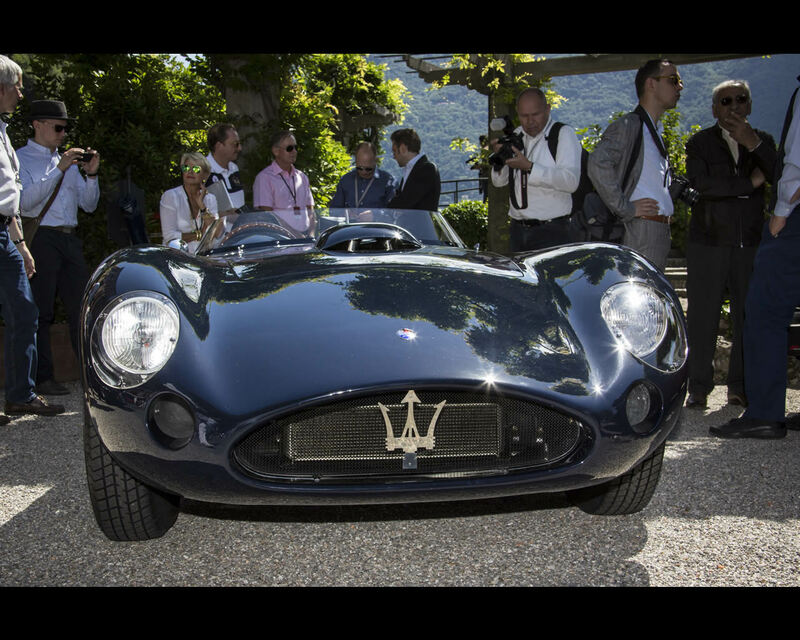 In 1959, the Maserati was purchased by Italia Motors in East Hollywood for 3000 dollars at an auction of the US Finance Department. The racing career of the Maserati 450S finally began in 1959 with a dozen or so races and went on until March 1962. 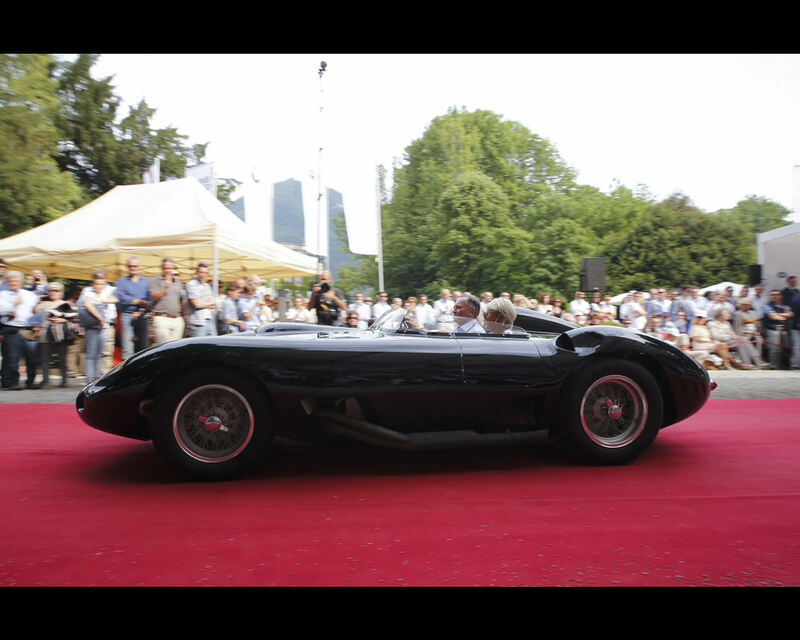 Overall, the eight-cylinder from Modena changed owners around ten times, moving from the USA to England, then to Germany and finally ending up in Switzerland with its current owner. 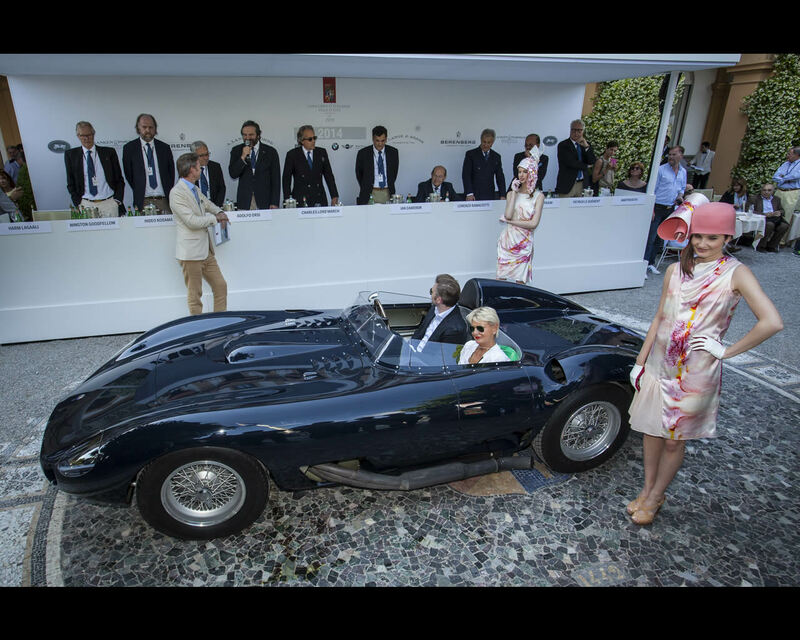 This Maserati 450S won the Best of Show by the Jury and also won the Class I Da Corsa at the 2014 Villa d'Este Concorso d'Eleganza introduced by Albert Spiess from Switzerland.